Chemicals and other toxic substances are everywhere—at home, at the workplace, at school, even outdoors. People are exposed to chemicals and other toxic substances daily, whether they realize it or not. The cleaning solutions in our homes and at work, the fuel for our vehicles, and the materials used to build and maintain products, buildings, and cities include chemicals or potentially toxic substances. 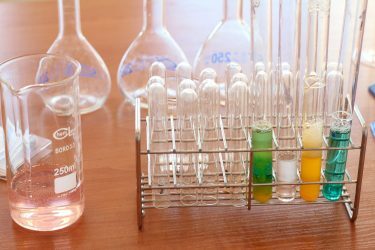 When a toxic substance accident occurs, or when a person believes he or she is suffering health problems due to exposure to chemicals or toxic substances, turn to experienced attorneys. At Hendrickson & Long, you’ll find a toxic tort lawyer who has the know-how and the experience to bring your toxic tort case to a favorable resolution. What is a toxic tort case? On a daily basis, we are all exposed to chemicals or toxic substances without suffering any ill effects. A wrong, or tort, occurs when the level of exposure rises to the extent that it causes injury. A toxic tort is a type of personal injury claim based on injury or illness caused by exposure to one or more chemicals or toxic substances. Regardless of the source or nature of the injury, a toxic tort case may be filed by a single plaintiff, the person claiming injury, or by several plaintiffs against one or more common defendants. When numerous cases are grouped in this way, the claims of all plaintiffs are tried at the same time. Group cases like these are called mass torts or class action cases. Parties involved in mass torts and class action cases need attorneys experienced in both the toxic tort area and in mass tort or class action litigation. Every toxic tort lawyer at Hendrickson & Long understands the nature of the toxic substances at issue and also have relationships with experts to help explain the complexities of each case to a jury. They combine the innovative use of technology and their experience with mass tort litigation, multi-jurisdictional discovery, and handling of class action cases to provide the best representation possible in toxic tort cases. Hendrickson & Long has a long history of helping toxic tort clients succeed in their cases. From understanding how the legal process works to managing the complexities inherent in toxic tort and mass tort litigation, the attorneys at Hendrickson & Long provide quality representation with a human touch. The toxic tort lawyers at the firm have been recognized by Super Lawyers, Best Lawyers in America, and America’s Top Attorneys, and U.S. News & World Report ranked Hendrickson & Long is recognized as a Tier 1 firm in West Virginia for Mass Tort Litigation/Class Actions and as a Tier 3 firm for Environmental Litigation. If you are involved in a case based on chemical exposure or toxic substance exposure, contact us today to schedule a free initial consultation.